For many, a visit to the fine plantations, museums and shops of historic Williamsburg is an enjoyable tourist experience. For the special few, however, its an authentic visit to another place and time. 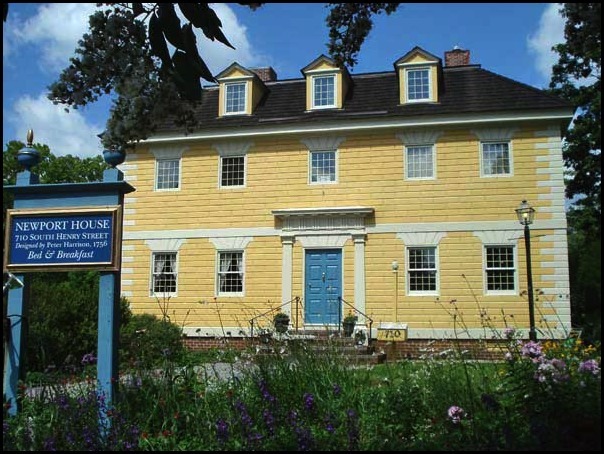 Of the twenty-four Williamsburg Bed & Breakfasts, Newport House is the only one with 18th Century History as its central theme. Newport House Bed and Breakfast is where your real colonial adventure begins. Your hosts are not merely fine Innkeepers, but authors and historic sailing ship designers. Now, you’re ready to be transported to a more romantic time. At Newport House Bed and Breakfast, you will get closer to feeling the real, historic Williamsburg than at any other accommodations in the area. Your hosts even have period clothing for you to rent, if you’re feeling adventurous. Would you like reservations at one of the three Colonial Taverns in the Historic Area? This is a special treat for the history buff in all of us. Newport House Bed and Breakfast has off-street parking, and is only a 5-minute walk from the Historic District of Williamsburg. No stress, no fighting traffic, just a casual stroll through one of the world’s great, historic treasures. If you're visiting Williamsburg, be certain to book a room at Newport House Bed & Breakfast!